March 2 is Dr. Seuss’ birthday and Read Across America Day, an observance which encourages young children to celebrate reading. Whether you partner with a local school, library, or host your own event, we have some ideas for how you can get involved! Invite children to dress up as their favorite Dr. Seuss book characters. Challenge children to track their reading for two weeks and award prizes to the top readers. Host a read-a-thon. Children can bring sleeping bags and pillows to get cozy as they read Dr. Seuss books together. 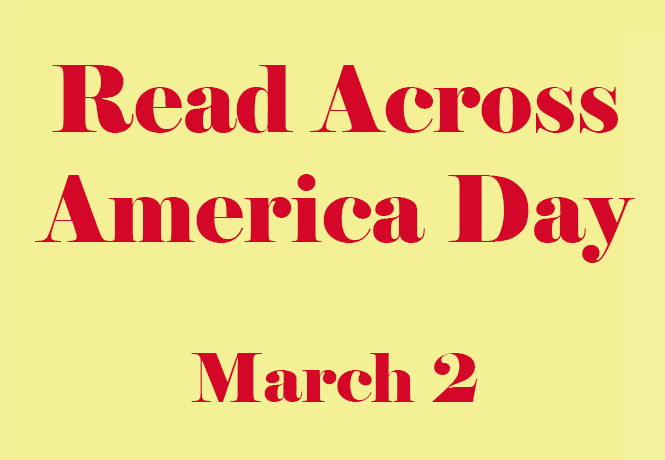 Participate in Read Across America Day to inspire children to value literacy and reading. Contact your local schools, Head Start programs, and libraries to see if they are in need of volunteers—or books. March 2 is an ideal day for your club to help GFWC make a bigger dent in its goal to distribute 1,000 Dr. Seuss books to at-risk children. Don’t forget to add your club’s personal touch with the Dr. Seuss labels, filed under “D” on the GFWC Resources page. Both the Newsletter and Website contests are great opportunities for your club to show off its presentation, creativity, and efficiency. 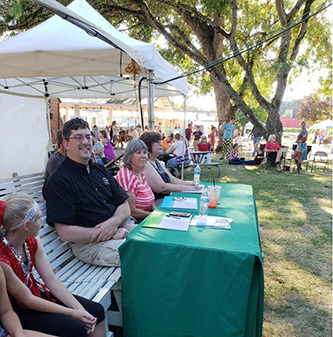 Entries for both contests should be sent to Communications and Public Relations Committee Chairman Patti Poe (not GFWC Headquarters). Entries for both contests are due on March 15. Learn more about the rules by reading the Club Manual. In January, GFWC was invited to participate in a roundtable discussion with members of the National Commission on Military, National, and Public Service on the importance of service and how to encourage more Americans to serve. The Commission, formed in 2016 to promote service and work to identify ways to inspire more Americans to serve, is looking for you to share your thoughts, stories, and expertise! Members of the Commission have toured the country hosting forums to speak directly with a broad cross of section of Americans to learn about what inspires those who serve and what deters those who haven’t, and they have released their initial findings. The Commission is working to promote Universal Service and seeks your feedback. Follow this link to the Interim Report and provide your comments at the bottom of the same page to be a part of this essential national conversation! Our thoughts are with GFWC Illinois State President Shelli Fehr on the passing of her father, Ronald Wayne Thomason. 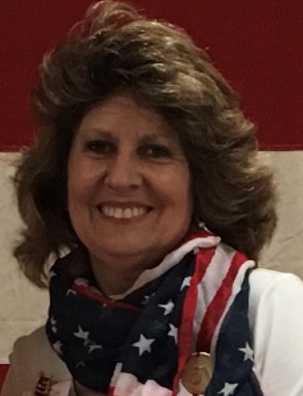 Send your condolences to Shelli Fehr, GFWC Illinois President, 85 Kennelworth Circle, Hampton, IL 61256. The Parsippany Woman’s Club (New Jersey), GFWC Sokico Woman’s Club (Washington), GFWC Woman’s Club of the Denville-Rockaway (New Jersey), GFWC Georgia, GFWC Ohio Junior Cyberlinks (Ohio), GFWC Viera Woman’s Club (Florida), GFWC Hastings Women’s Club (Michigan), GFWC California, GFWC Plant City Woman’s Club (Florida), GFWC Saxonburg District Woman’s Club (Pennsylvania), GFWC Grundy Woman’s Club (Virginia), GFWC Thompson Falls Woman’s Club (Montana), San Gabriel Woman’s Club (Texas), and the GFWC Ladies Tourist Club (Minnesota) are featured on GFWC’s Blog for their Martin Luther King, Jr. Day of Service projects. Valentine’s Day came early for GFWC with our February #ThankYouTuesday theme. We want to hear what made you fall in love with GFWC! “Share the Love” on this month’s Facebook post. a free Volunteer Pass for entrance to all national parks and federal recreation lands! February 14 is the RSVP deadline for our Women’s History Month Event. Email AConstad@gfwc.org to let her know you’re coming! The event is March 7 from 4:00-6:00 p.m. and will feature Marci Reaven, Vice President of the History Exhibits at the New York Historical Society. Join us to hear about the conservation efforts of women’s clubs! Please hold off on shipping baby blankets to March of Dimes until further notice. They are currently transitioning to a new location and don’t have much space in their warehouse. Stay tuned and keep making blankets in the meantime! Do you want to celebrate your club or a specific clubwoman in your life? Buy an ad for the 2019 Convention Program! You can create your own ad or choose from our designs. Check out our Convention Program Ad form to learn more. Order and pay for your ad by March 29! For the 2018–2020 Administration, GFWC Mississippi is focused on bringing awareness to the number one killer of women—heart disease. Becky Wright first became aware of the devastation of heart disease when her mother suffered a heart attack in 2004, around the same time the Red Dress Initiative was getting started. The “Empowering the Heart to Make a Difference” State President Project uses the acrostic “Go Red” to detect, correct, and protect women. To detect, ladies are encouraged to G-get their numbers; to correct, O-own their lifestyle by making physical activity and healthy eating a priority; to protect, R-raise their voices through advocacy to influence public policy pertaining to heart health; E-educate their friends, family, and Federation; D-donate to the American Heart Association Mississippi Chapter through heart walks, club fundraisers, and the GFWC Mississippi statewide cookbook and pillow fundraiser. 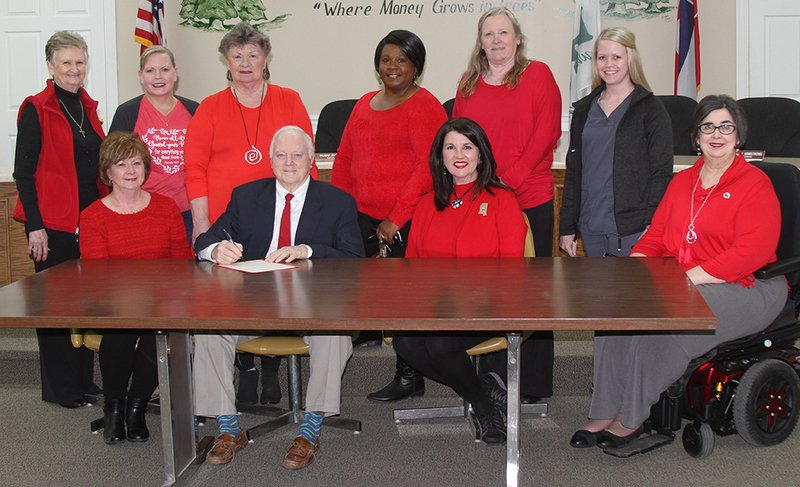 Leading up to National Wear Red Day, clubs across the state have collaborated with elected officials, including the Governor of Mississippi, requesting they sign proclamations declaring February 1, 2019 as Wear Red Day in their cities. In addition, a “Move More” service project was introduced at the post-convention board meeting and has been continued at each state and district meeting to raise heart rates and make a difference in a fun way. Promoting planned reading with the President’s Book Challenge will be an added focus for 2019—empowering the mind through lifelong learning and attracting new GFWC members with another layer to the benefits of belonging! Visit GFWC’s Pinterest for more photos. 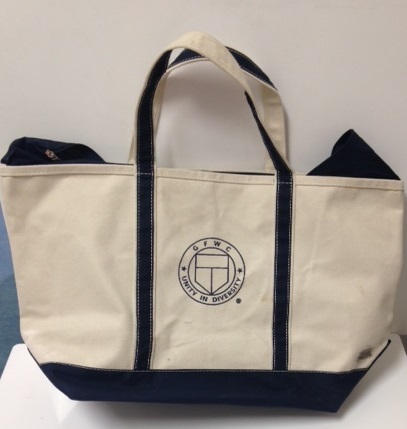 This cotton tote bag with a zippered top is great for the clubwoman on the go! It’s equally spacious and stylish. With State Convention season upon us, this bag can help you keep track of everything and have it all at hand. Get yours for $30 in the GFWC Marketplace.